I’ve called myself “the omnivore who has solved his dilemma” since I began this blog in 2007. Over the years I’ve developed something of a reputation as a guy who will eat just about anything. If I had a dollar for every time someone has asked me about the weirdest thing I ever ate, or whether I’d ever eat this or that, I’d be able to buy dinner at the French Laundry. But when I’m asked if there are foods I would never eat, I am always ready with answers. I take some small satisfaction in the reaction I get from the questioner, who always seems disappointed that I have limits. But like you, I draw lines. We all do. If you live anywhere around California, there is a good chance you’ve heard about our Fish & Game Commissioner Dan Richards, who is under pressure to resign for shooting and eating a mountain lion while on a hunt in Idaho. What’s the big deal? In 1990, California voters passed a law banning the hunting of lions, and the Legislature later banned even the import of cougar meat, hides or bones back into the state. For the record, I do not agree with either law. And as a veteran of two decades in the political trenches as a newspaper reporter, I can tell you in no uncertain terms that this firestorm is aimed more at shifting the balance of power on our Fish & Game Commission than anything else. But within minutes of Richards telling a Sacramento radio show that lion meat tastes a little like pork loin, the questions began rolling in. Do I think it tastes like pork? What’s the best way to cook lion? Is it true people eat lions? Yes, people eat mountain lions. In fact, the few people I know who have shot one have all eaten it. And they do say it tastes something like pork. But I will have to take them at their word: I will never eat a cat. And I will never shoot a cat, unless it’s coming to kill me. I like cats. I like to see them in the wild, and in almost a dozen close encounters with them during my time as a hunter, I have never been bothered by either bobcats or cougars. We are fellow predators, and we view each other with wariness and respect. Other people take a different view. And I accept that. I respect the right of people to kill cats where it is legal, and while I don’t like it, I am not about to impose my moral standard on someone else. To me, cats are not for eating. End of story. Same with crows. Oddly, in the midst of this mountain lion maelstrom, I’ve been asked twice in the past week whether I’d be interested in shooting and eating crows. For some reason this irks me more than lions. I respect cats and so far they’ve respected me, but the relationship is aloof, distant. 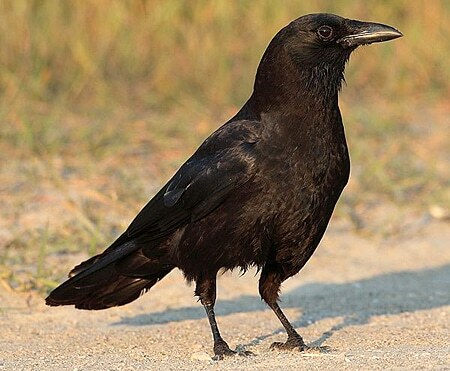 Crows are my friends. I have a thing about crows, and they seem to sense it. Whenever crows are around, I seem to be able to get closer to them than anyone else; I have been able to hand-feed crows more than once. Their intelligence and gregariousness always makes me smile. I would no more shoot a crow than I would shoot your sister. Ditto for dogs of all forms. Foxes are among my favorite animals. Coyotes are almost as clever as crows. And, like lions, while I accept the right of hunters to kill coyotes and wolves where it is legal, I will never do so unless a pack threatens me. I know this is irrational. Part of me, the scientist-gourmand, says I am limiting my culinary horizons by declaring certain foods verboten. The great food writer Jeffrey Steingarten took pains to train himself to remove as many food prejudices as possible before he truly felt like a legitimate food journalist. How do I know I won’t love something if I refuse to try it? Maybe crow is better than duck? Maybe it is, but I am content to never know. We all draw lines when it comes to food. Orthodox Jews and Muslims don’t eat pork. Lots of Buddhists don’t eat meat at all. The vast majority of Native Americans have no history of mushroom-eating. Many in India view cows as sacred. Westerners are not big bug-eaters (although I like the fried chipotle crickets you get in Mexican markets), and Asians tend to hate cheese. Lines, food prejudices — whatever you wish to call them — are everywhere. But barring personal allergies or intolerances, none of these strictures are biological. Culture determines most of our food choices. And those who violate those food rules can be quickly ostracized by their cultural colleagues. Here in the United States, dogs, cats and horses are not, for the most part, placed in our mental “food animal” bucket. I’ve eaten salami made from donkeys, and it was good. But I could not help feeling a twinge as I ate it, a feeling that I was doing something evil or forbidden. And remember, I eat muskrats, squirrels and lots of other weird things with regularity. Our training is strong. This is one of the reasons for the virulent public reaction to the Dan Richards lion hunt. The vast majority of Americans don’t hunt. 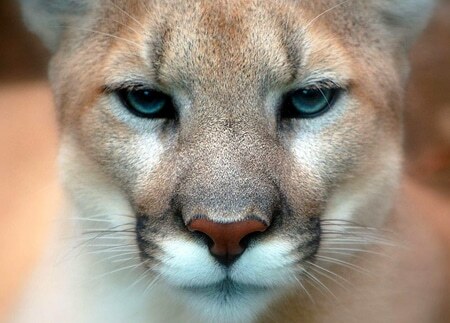 The vast majority of hunters don’t hunt mountain lions. And if you talk to the outfitters, most mountain lion hunters don’t eat the meat of their kill (it tends to get eaten by the outfitters and the guides). This makes cougar-eating a rarity within a rarity. A taboo. But it is not taboo everywhere, even in the Western world. 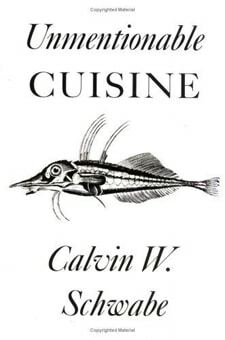 One of the finest books ever written on food prejudice was University of California-Davis veterinarian Calvin Schwabe’s Unmentionable Cuisine. It is also the weirdest cookbook I own. The book is chock-a-block full of recipes for everything from bugs to brains to cats — and while most of the cat dishes are from China, Ghana and other exotic locales, Schwabe includes on from Spain. I love Spanish food, but I’ll pass on the gato. Long time readers of this space know I am fond of quoting the Swahili saying wanyama ni nyama tu, “all meat is meat.” But even I have limits. Chad: Not at all. It is my personal line, not one I want to force others to follow. I would like to say that I am new to this website but I can already tell that I like what I see here. You have done a nice job here. We might not agree on cats but I believe we will agree on much more other topics. I agree 100% on the crows, wild cats, dogs, and horses. I must say that I feel the same way about bears too. I believe there are many animals out there that available to eat and there is no reason to kill a bear for meat. Native Americans revered the bear as a deity, “man of the forests”, and while I may not go that far, I definitely have a connection to them that I can not explain. I feel the same about them as Hank Shaw feels about wild cats I guess. Great read. I don’t know if I have many inhibitions to trying anything anymore. Years in the military and traveling the world having to do “cultural acclimation” has made me only avoid things that would make me ill – such as putrefied frogs or snails in SE Asia. I however would not criticize anyone for their protein choices – I have enjoyed Guiana pig and horsemeat in my travels. Many things were interesting to try, but I would not seek them out. Culture is the greatest barrier we have as you touched on as it”determines most of our food choices. And those who violate those food rules can be quickly ostracized by their cultural colleagues”. Aside from that personal preference is a legit reason to avoid something. Faddism however is not a reason for people to overindulge – such as with the ortolan in France (illegal but still practiced) that decimates a population and may even lead to extinction. This was a great introspective read for me. Thanks.